My wife and I decided to take a last minute weekend excursion to Yangshuo, China this past weekend. It was an unforgettable experience. 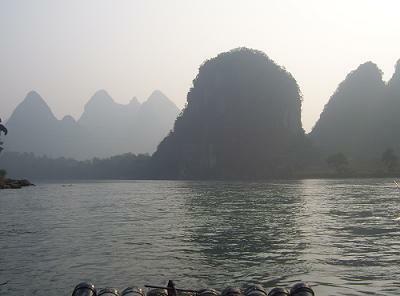 If you haven't heard of Yangshuo, its a small town on the Li River that is famous for its scenery of shear mountains dotting the landscape along the riverside. Often listed as one of the top 10 places to visit in China, it is an absolutely breathtaking place to visit. 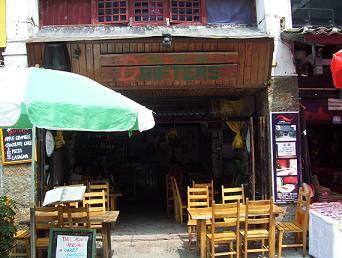 Perhaps the best part of Yangshuo is the food! It has the best western food I have had in the past year in China with dozens of local cafes, bars, and pubs lining the main "West Street" all with a selection of great eastern and western dishes. Another reason to love Yangshuo is the prices. In the China countryside things are cheap with a private (all day) tour guide running about $15USD, and typical western dinner entrees running <$5USD. No wonder there is a community of foreigners that have settled down in this town that is in the middle of nowhere. 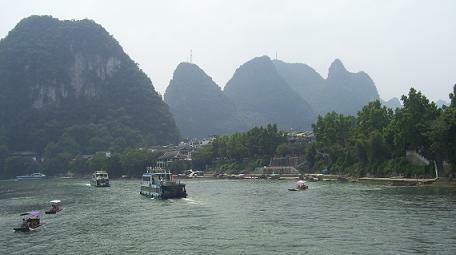 Visiting Yangshuo was a wonderful escape from the city life for us even if it was just for a weekend. Great pictures 2 Million. I've been to HK but I haven't had the chance to tour the mainland yet well besides the Beijing airport. I'll have to make it there someday. So Wachovia just lots 95% of its value and is sold for pennies on the dollar for their AWFUL model...I remember giving you the BEST advice you possibly could have and recommended selling when it was at $19. Like I said, your investment decisions will ultimately dictate whether or not you EVER reach your goal.